From all of us at Hannover Fairs USA, we would like to wish you a very happy and prosperous New Year 2010! DOMOTEX 2010 is just around the corner and should you have any last minute questions prior to the show, please contact the Long Beach office at 562-901-9191 or e-mail me at rita@hfusa.com. We also have some news: a new director of sales. 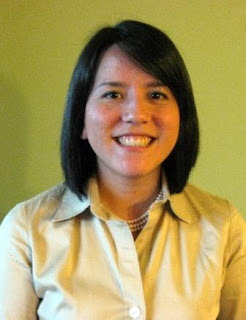 Katherine León has joined Hannover Fairs USA in the New Year as Director of Sales for the Domotex team. From this point on, my role at Hannover Fairs USA will be focused full-time on several other events organized by Deutsche Messe AG, including Hannover Messe and CeMAT in Hannover along with their respective worldwide events. These shows are industrial technology B2B events supporting all facets of manufacturing (Hannover Messe) and material handling & logistics (CeMAT). I know you will enjoy Katherine. Prior to joining the Hannover Fairs USA team, Katherine was the Sales Manager for Messe Frankfurt USA where she led sales and marketing efforts in the domestic textile division. With a decade of trade show and conference experience, she has managed and produced meetings and events of all sizes in the B2B sector. Katherine graduated from Syracuse University and currently resides in Atlanta, GA where she enjoys running and volunteering in her neighborhood association. Katherine will be at DOMOTEX assisting U.S. exhibitors. After the show she can be reached in her Atlanta office, 404-326-9921, or via email at kleon@hfusa.com. Katherine and I both look forward to seeing you in Hannover for DOMOTEX 2010!